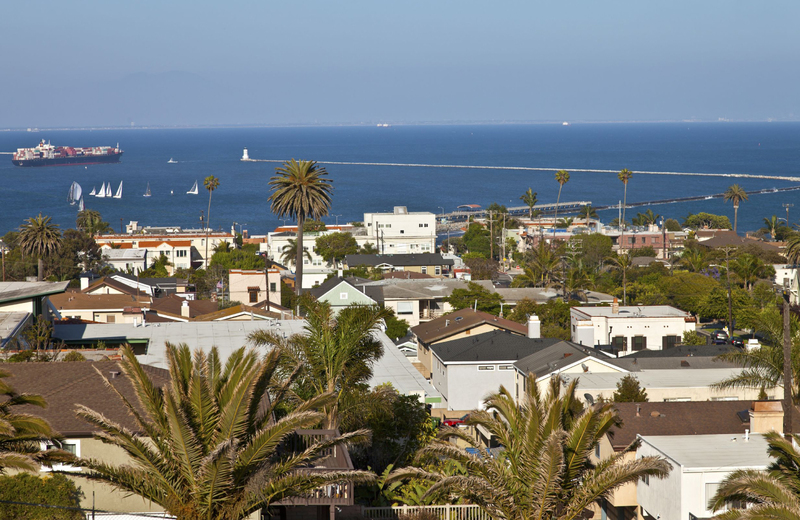 Within the confines of scenic, comfortable San Pedro, The Vue is nestled away on 5th Street, just a short walk away from Gibson Park and the Downtown Harbor. In fact, much of what's located in the proximity of The Vue you can access without an automobile. In fact, it's one of the most accessible apartments in San Pedro, with a walk score of 89/100. These are high marks, especially when you consider some of the other regions in Los Angeles. What does that mean for residents? There's plenty to do and see in The Vue's neighborhood, and you don't even have to hop in your car to check it out. There's a wealth of history, culture, entertainment, and more. Just what is there to do around The Vue? Let's take an excursion into the neighborhood to highlight the locations of interest. As we mentioned, The Vue is well within walking distance of the harbor. As it so happens, the harbor is home to two of the area's museums, dedicated to naval and maritime history. "The mission of the Pacific Battleship Center is to celebrate the American spirit through the preservation and interpretation of the Battleship IOWA, to educate the public on the accomplishments and sacrifices of American patriots, and to engage our guests in unique and exciting ways that bring the ship to life by connecting the past with the future." In practice, this translates to educational programs, the preservation of the ship itself, and, of course, plenty of museum exhibits and ship tours that make for a great day out. It's a kid-friendly location, though, you could just as easily make a solo jaunt or bring a date. They're no strangers to using technology to enhance the experience, either. Using their interactive tour app (and free Wi-Fi), visitors are granted a window into the past, complete with images, video, and other supplemental data that brings the USS Iowa to life through the eyes of those who lived it. There's also the Los Angeles Maritime Museum, which features additional education exhibits and explores the history of the L.A. Harbor. This museum is especially welcoming to the younger crowd, with programs, exhibits, and a gift shop that are geared towards being kid-friendly. They also feature a plethora of events that children can get into, like the Lego Ship Building Contest (though, to be fair, all ages love Lego blocks). Just down the street in the opposite direction are two of San Pedro's finest theaters. The first of which is the Little Fish Theatre. This smaller theater features performance after performance, delivered by supremely talented actors and actresses, productions like Laughter On The 23rd Floor and Dinner With Friends. The theater is also home to an Improv Night, for those that love comedy, and keeps their ticket prices well within reasonable so you can make it a repeat venture. Alternatively, You could head over to the Warner Grand Theatre, a larger, 1,500-seat venue and perhaps San Pedro's best-known offering since its opening in 1931. Live music, movies, theatrical shows, and more all fall under their purview. The nostalgic vibe and happening ambiance are just two of the positive features that live entertainment fanatics love, in addition to the top-tier talent. The 2017 schedule includes greats like Grammy-nominated Lisa Loeb, so you can rest assured you're in for a stellar show with every visit. It's no secret that San Pedro is home to many galleries dedicated to showcasing the arts. One such gallery, Gallery 478, is located nearby on 7th Street. The owners, well-respected photographers Ray & Arnee Carafano, opened the establishment in 1998 and have been featuring fine works by talent across multiple styles and genres ever since. The contemporary vibe is strong here, and whether you're into photography, painting, or something else entirely, you're sure to find great exhibits here that play to your interests. If you need to head out for essentials, those are also well within arm's reach. A1 Imported Groceries and Numero Uno Markets are well within walking distance, and several other options are close by (within a two-mile radius). You'll be able to get what you need and get back home plus score a brisk workout all in one. As you can see, the neighborhood around The Vue is diverse, engaging, and, above all, easy to get to. If you're looking for a lifestyle that enhances walkability, this is a prime location to do it in. It isn't, however, the only thing on offer when you consider making The Vue your home, the complex itself is one of preeminent luxury and comfort. Take a look at the stunning structure, for example. Does that look like an ordinary apartment building to you? Quite the contrary, The Vue is chic, modern, and exemplifies a new contemporary living standard. On the grounds of The Vue, you'll find a leisurely pool, yoga studio, fitness center, rooftop terrace, spa, lounge, and executive class conference room. Living at The Vue is complemented by a 24-hour concierge to help you get things done. Securing dinner reservations, scheduling airport shuttles, and finding care for your pets (did we mention this is a pet-friendly building?) are just a few of the services that they offer. Units and floor plans at The Vue are especially accommodating. There are multiple sizes and room options, but all are spacious and finely-tuned to specific lifestyles. There are one, two, and three bedroom varieties to choose from, with open floors, stackable washer/dryers, floor-to-ceiling windows, and real tile floors all at your disposal. Unites also include stainless steel appliances, hardwood cabinetry, and other attractive features you'll delight in. See what makes The Vue a top choice, and experience all the wonders of this amazing San Pedro neighborhood. Learn more about everything on offer today.